More Rilakkuma merchandise added into my Rilakkuma collection! Seriously, I really can't stop myself for not squealing in a Japanese-girl-alike-sound whenever I saw this cute brown bear items at Shopping malls. Although it's quite common as there are quite a few shops carrying Rilakkuma merchandises, but I just can't help myself. It's been quite a while I stopped buying/stopped le bf from buying Rilakkuma merchandise for me as I feel even though they are cute, but they're quite expensive + hesitate to use them + I don't have a place big enough to keep my collections anymore. lol. But yesterday, hand itchy and get 2 items. Something quite useless as the mirror is so small I can only see my one eye at a time hahahahaha. But so cute~!!! Can add it onto my heavy housekey and keychains series now. It's so cute I can't even!!! 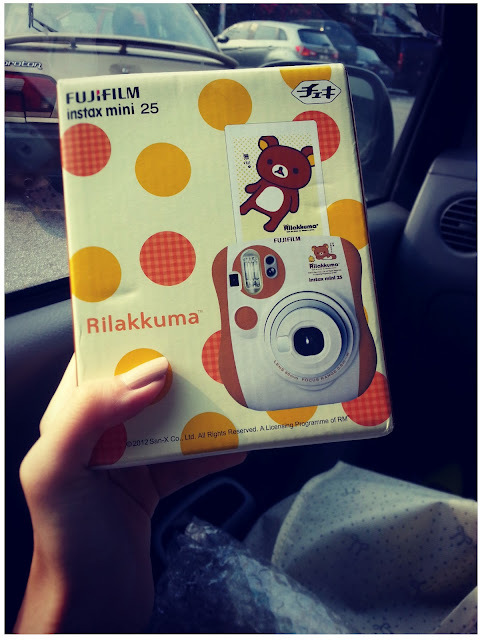 The body of the camera is in Rilakkuma's shade, uber cute!!! I already own a Instax 7 but this is another level of polaroid goodness! 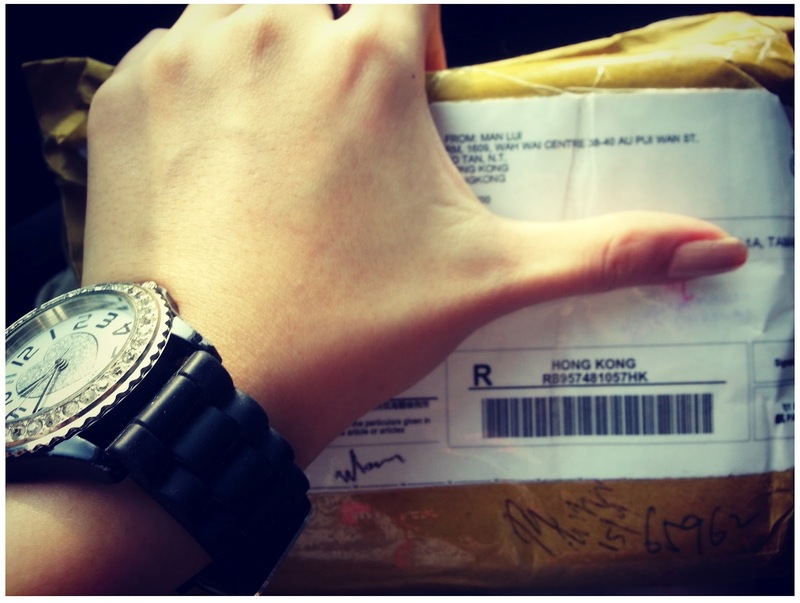 I feel so happy and owe a big one to le bf! Thanks love~ This really made my day, or perhaps - weeks! 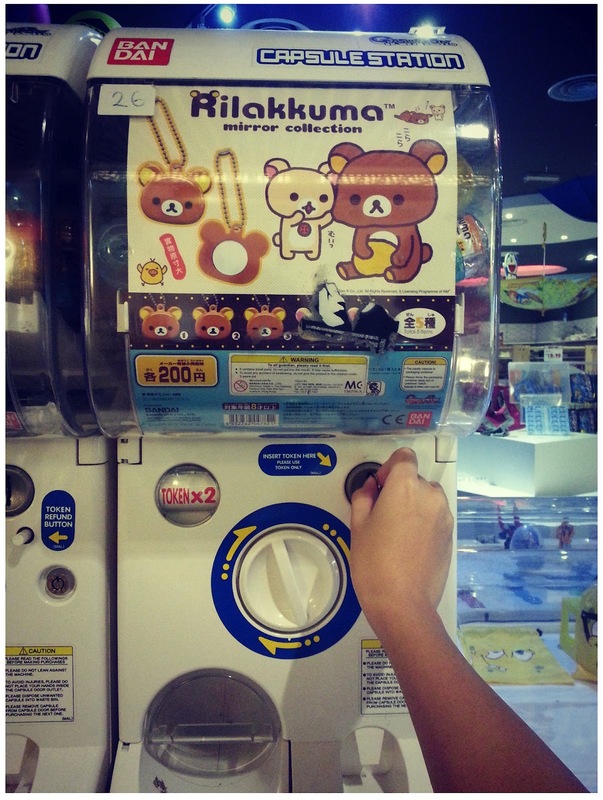 If I go Bangkok to visit the Rilakkuma store, I think I will faint. lol.